Connecticut has recently in the last few years, as many of you are aware, instituted licensing for Home Inspectors. Along with licensing comes new rules and regulations regarding how inspectors must conduct their business with their clients. The days of anyone just hanging up a shingle and calling themselves a Home Inspector are gone. New inspectors must pass over many hurdles on the way to becoming a fully licensed home inspector. Established inspectors are required now to attend continuing education and all inspectors must conduct their inspections to minimum state standards and a Code of Ethics. This presents many advantages for the consumer who needs the services of an inspector. Lets explore some of these requirements and how they may be beneficial to the savvy homebuyer. First there are two types of Home Inspectors operating in Connecticut, fully licensed Home Inspectors (HOI) and Home Inspector Interns (HOP). Both are licensed by the Department of Consumer Protection the difference being the Intern has not yet satisfied the state requirements for obtaining his complete license standing. He is currently working under the supervision of a fully licensed Home Inspector. Under intern status the inspector must be supervised for the first 100 home inspections they perform. This can be valuable to the consumer in many ways. Presently the intern’s supervisor is also involved in the inspection in essence giving the client two inspectors responsible for their home inspection. Supervisors in effect mentor the interns and give them the benefit of their knowledge and experience. This means the intern does not have to learn solely by “trial and error” and is less likely to make errors in his reporting. Interns who later become licensed Home Inspectors are better skilled than their predecessors because of supervision and the intense training they must undergo to receive their license. As mentioned previously all inspectors are obligated to perform inspections to minimum state standards. The Home Inspector is required to give a copy of the state-mandated standards, which should include the state endorsed Home Inspectors Code of Ethics, to the customer for review with the home inspection report. The home inspection report itself must contain certain and specific information based upon these standards. You should be wary of any inspector who presents a few pages long inspection report. The state standards themselves are seven pages in length. It would seem evident that this system is quite favorable to the consumer, but as with most organization there are flaws. The burden rests on the homebuyer to thoroughly screen the company that they ultimately will choose to do their home inspection. Here are some tips for interviewing your home inspection company. Don’t price shop: You are paying, in most instances, hundreds of thousands of dollars for your new home. Why would you skimp on the price you pay for the company that is going to determine whether this is in fact your “Dream House” or the proverbial “Money Pit”. The price difference between what most home inspection companies charge is usually about $100.00. Saving a few dollars now may cost you thousands later. Remember the golden rule; you usually get exactly what you pay for. Ask for qualifications: What is the inspectors license number, are they insured, are they members of any organizations, what is their experience, how long does the inspection take, what type of report do they use and when will you receive it. Do they perform any additional services such as radon or water testing? Do they have the proper training or certifications, when necessary, to conduct these tests? If you desire proof of insurance ask for it before you book the inspection. 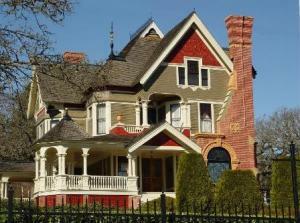 Good home inspectors will carry E&O (Errors & Omissions) insurance but are not obligated to do so. Personal recommendations: Did your favorite aunt, brother, co-worker, etc. just recently buy a house? If so they most likely had a home inspection. Talk with them about the company that did the inspection on their home. Good or bad it’s information you can use in narrowing down your choices. If you are unsure about an inspector’s credibility you may check their license status or any complaints and/or actions against them by either calling the Dept. of Consumer Protection @ 860-713-6000 or on the web @ http://www.ct-clic.com/. Home Inspectors are listed under the Home Improvement and New Home Construction category. A few last tips. Have your questions ready in advance before you begin calling to interview companies. Use the same questions when speaking with each company. When you have narrowed the field down to two or three companies decide which one of them sounded the most likely to thoroughly explain things to you. Who came across as the most patient or answered your questions without making you feel uncomfortable or rushed. You want someone you are relaxed with and confident in. Remember the inspector’s first job is to “educate the consumer”; attempt to make certain the home inspector you choose will do exactly that. With the onset of warmer weather attention turns to our air conditioning systems. No matter what type we own, centralized, individual room units, or a heat pump, preparing them for the cooling season is important to trouble free operation and energy efficiency. Keep outdoor condenser units free from debris as needed. Anything obstructing the unit will impede its ability to dissipate heat effectively causing the unit to work harder. Clean or change air filter once a month. The air filter is the most important part of your cooling system. If it becomes clogged, then your system will have to work harder and longer to supply the same amount of cool air. A filter that becomes excessively clogged and left unchanged can cause the unit to freeze up resulting in serious and costly damage. Clean indoor coil once a year. A dirty coil will hinder the unit’s ability to cool the air moving through the unit. This makes the unit work harder wasting energy and money. Brush and vacuum the fan blades and fan enclosure area once a year to keep your air conditioner running at maximum efficiency. Clean drain line once a year. A clogged drain will not allow condensation to drain properly causing potential water damage to your home. Clean air filter once a month while in use. The air filter is the most important part of any cooling system. The same rules apply to this type unit filters, as do the central air systems. The difference here is if the unit freezes and breaks, you will most likely be purchasing a new A/C unit rather than repairing it. Depending upon the size it is often not worth the cost to fix this type of unit. Clean exterior fins once a year. Exterior fins are responsible for dissipating heat. Dirty fins cannot perform their job as effectively, wasting electricity and money. These systems are unique in that they supply cooling and heating from the same coils and condensing unit. Refer to the maintenance routine for the central air systems and follow accordingly. Most of the maintenance tasks talked about here can be performed easily by the homeowner. Be sure to keep in mind when you are working on the unit to use good safety practices. Always disable the power supply before beginning any work. If you are not sure how to perform a job, call a professional. If you are not the do it your self-type any heating/cooling service provider can set you up with a seasonal maintenance contract. If you adhere to these guidelines your cooling system will function more effectively and cost less to run. Ultimately it should provide you with years of trouble free operation. It is highly suggested to employ an expert to do house inspection prior of selling the property. This is to make sure nothing will be left unattended with the deal.